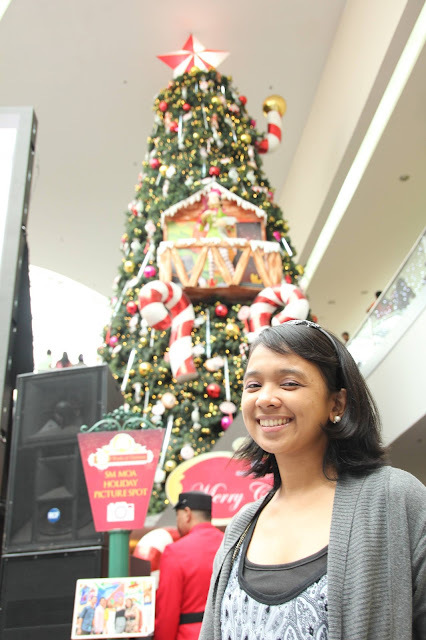 I love celebrating Christmas Day with my family and love ones. 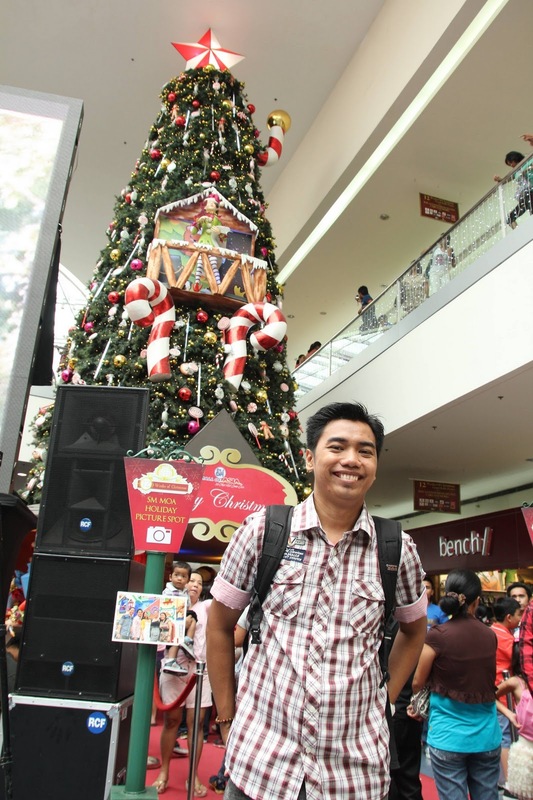 In fact, I make sure that I'm with them on December 24 and 25. Every 25, my relatives from Tondo visits us in our house for lunch same as Ian. So after taking our lunch, Ian and I decided to stroll around the mall, we chose Mall of Asia since we are both excited to watch the fireworks. We arrived late in the afternoon but still we enjoy the beauty of the scenery by taking lots of pictures in the Christmas tree. We chose not to watch movie because of a long queue of people in the cinema and ticket booth. On the other hand, we go for merienda instead. 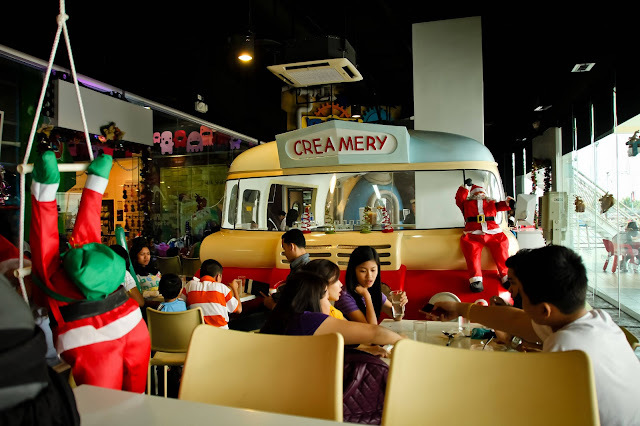 We already knew that there are heaps of people having their merienda in a common restaurant that's why we pick out to try the unusual restaurant which is located at the Kids Universe. 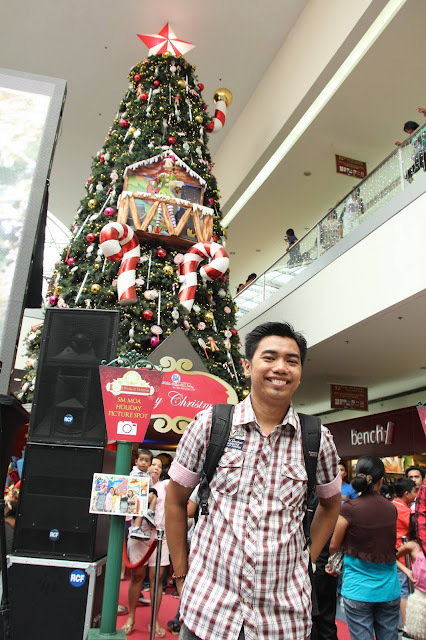 There are only few people who notice this place because it was placed at the rear part of SM Mall of Asia. Ian go for The Creamery Resto and Bar for our merienda. 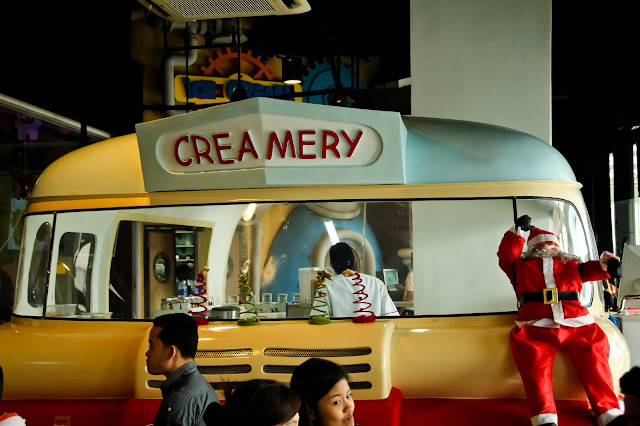 It is one of the newest restaurants located at Kids Universe. We were lucky to be seated at the lovely counter where we can enjoy taking photos of the place. The Creamery Resto is a perfect place for all especially for the kids. The room is spacious, orderly and serene, I love the place; it really caught my attention especially the kitchen in the middle of the area. Upon seeing the menu, I thought they only serves desserts such as tasty ice cream and cheese cakes but I get amazed when I found out that they also serve meals like pasta. 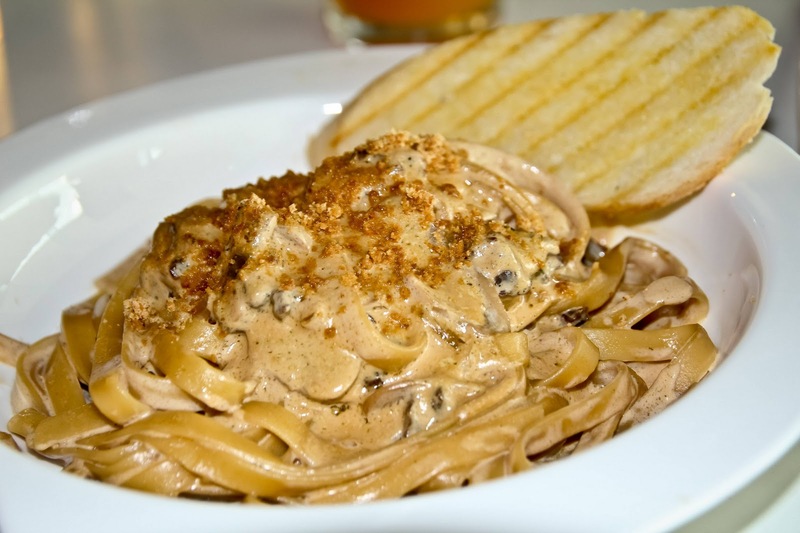 Ian ordered for Beef Stroganoff, a combination of fettuccine sliced beef, mushroom, cream, Parmesan cheese and buttered toast. It's a little bit salty according to him. 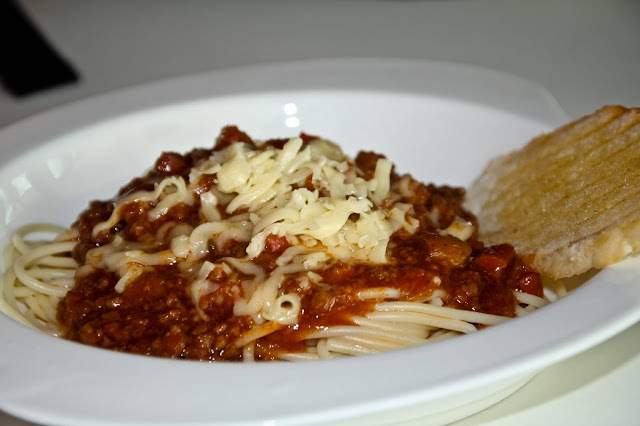 While I chose the Classic Spaghetti - spaghetti with sweet meat sauce, cheese serve with buttered toast. There is no special thing about the pasta except for its too sweet for me. I guess they put some creams as a sauce to make it yummier. 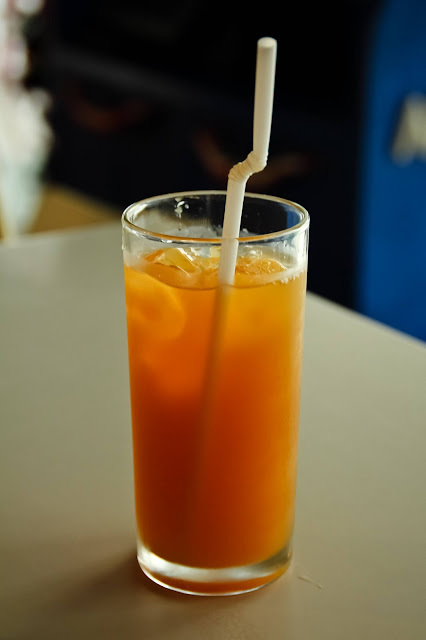 For drink, Ian order for Creamy Iced Tea. I love their version of iced tea, they put some sweet creamy milk that causes this drinks a little bit sweetie. We don't usually order for a dessert but since the photos on the menu is tempting us to order, in result we order for Ferrero crunch supreme which is according to them this is the most talked about marble slab creation getting raves from the owner's as well as certified choco lovers! 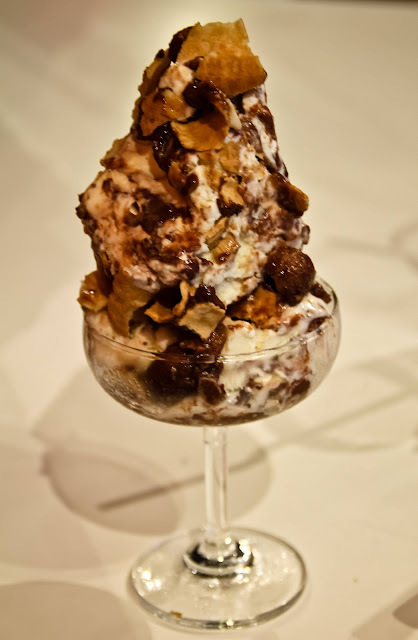 A classic vanilla ice cream mixed with crunchy bits and their very own concoction ferrero filing. Definitely a must try for those who enjoy a truly amazing chocolaty experience. Overall, this place is perfect to bond with your love ones and little ones. 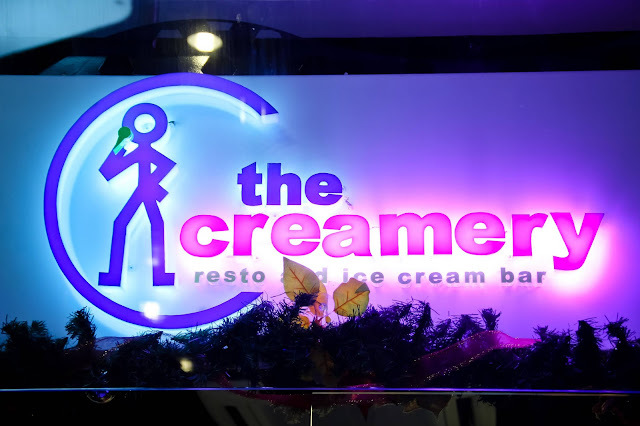 The ice cream really melts in your mouth and of course not that expensive. Wow! 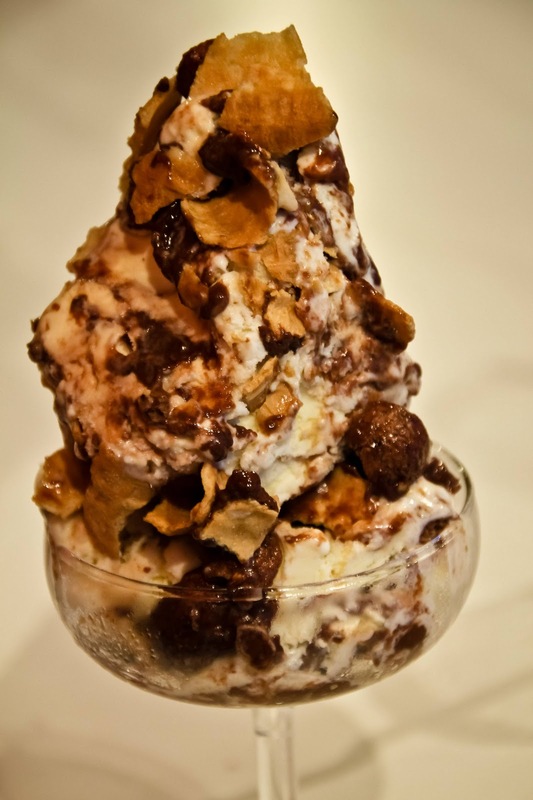 Ferrero crunch supreme = nakakatakam! Hi becky, the place is so cool! Ice cream is really delicious! yum yum..